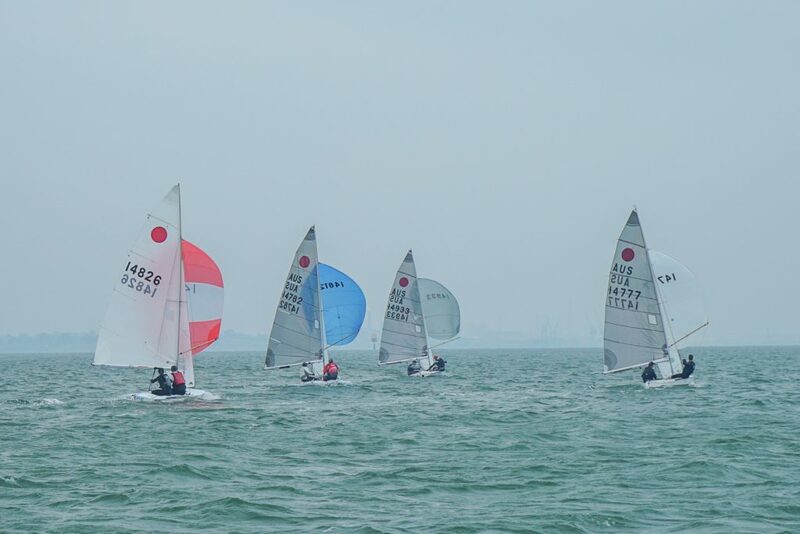 There were a few tricks thrown up on the second day of the Fireball Nationals at the Royal Geelong Yacht Club yesterday, however Heather Macfarlane and Chris Payne still hold a slender lead. 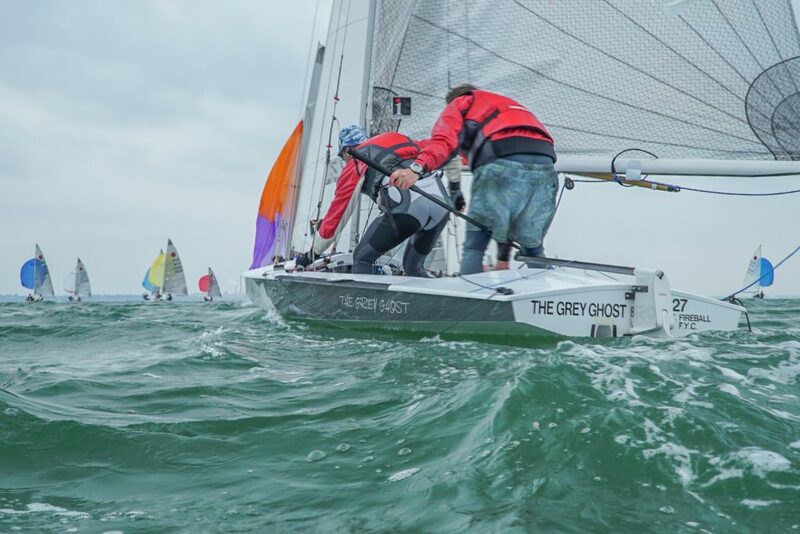 With shifty and overcast conditions it made for some challenging and tactical racing, as well as a few changes in the standings with four out of the 10 races now completed. 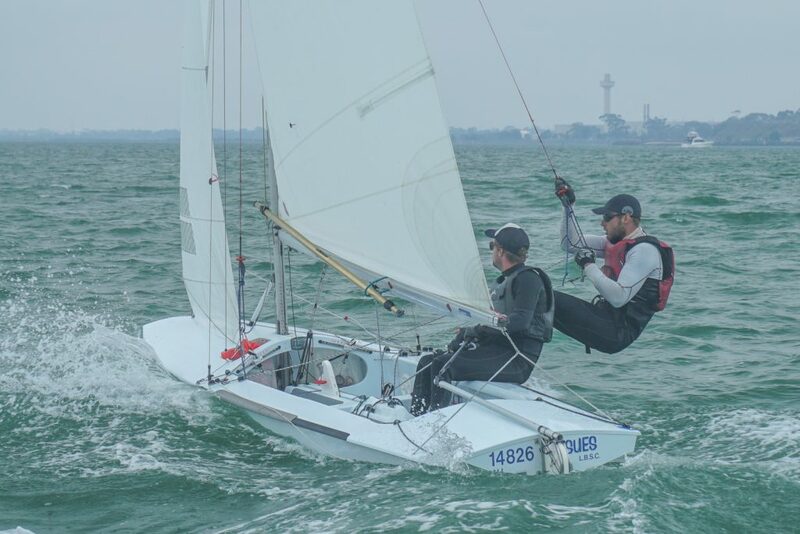 Daniel Rantanen and Chris Derrick in Kiss, hailing from the Largs Bay Sailing Club in South Australia, came away with a win in Race 3, while reigning national champions John Heywood and Brett Littledike in Renegade, also from Largs Bay, ended up with the bullet in Race 4. However consistency again proved valuable for Heather and Chris in Not Your Average Rockstars, representing Victoria’s Black Rock Yacht Club, coming home with a sixth and a third to join their opening two race wins and maintain a four-point lead over second place. 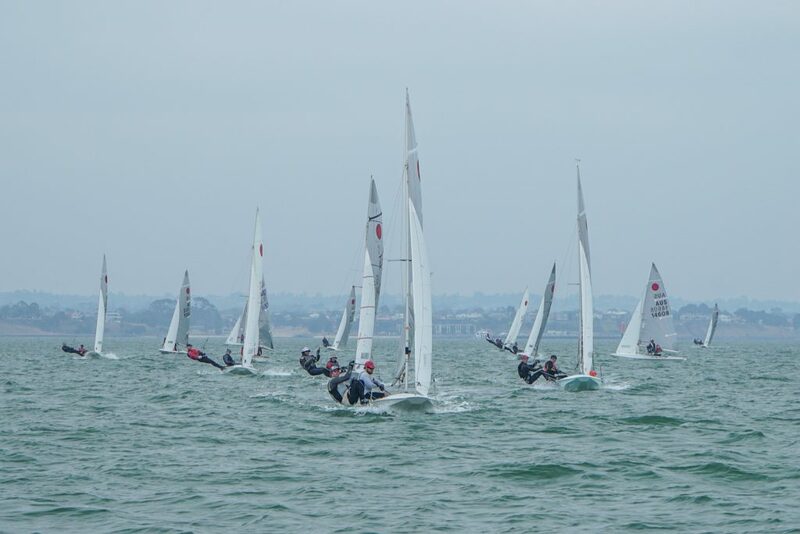 Tom Gordon and Jack Fletcher in Cletus were also consistent, finishing the second day of racing with a 3,3,5,4 scorecard that has them sitting second overall, one point ahead of Renegade. Even after only four races, the top three contenders are starting to clear out from the pack with 10 points the difference between third and fourth, which should make for some interesting racing between the lead boats in the next few days. Sophie Jackson and Andrew Perry in Paranoid, racing under the Mornington Yacht Club banner, have continued to improve throughout the event and now sit fourth overall after finishing with a second in Race 4, as well as the first placed under 21 skipper. Coming in from 470s, Sophie said she wanted to get some extra race practice in amongst a good sized fleet and also hone her skills in the boat, which are comparable to racing in 470s. She said the Fireballs were a great class to be involved with and everyone had been really welcoming and helpful. Racing continues today with two more championship races, followed by a lay day on Thursday. 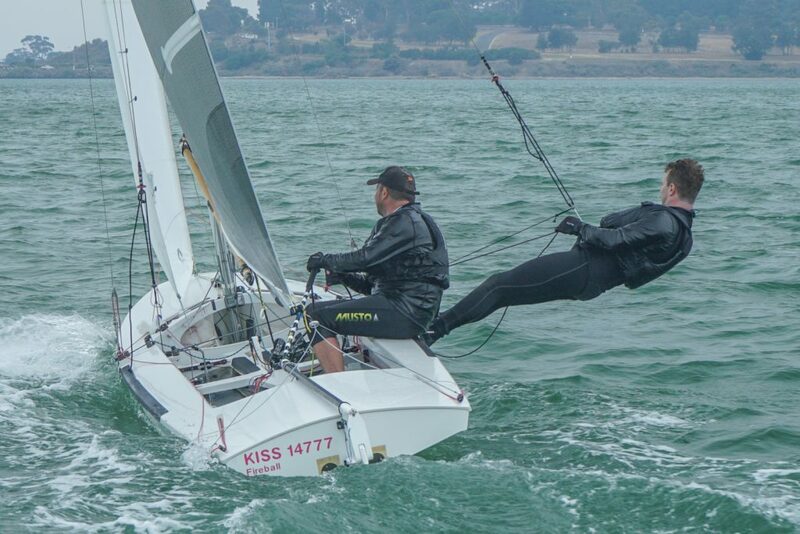 The regatta then closes out with two more races on both Friday and Saturday. The forecast is looking good for the remainder of the week with the only marginal day scheduled for the lay day, so the race committee will be looking to consolidate with a full series of 10 races. For regular updates throughout the event, stay tuned to the Down Under Sail Facebook Page.